This week we are announcing three new Greek appetizer spreads, and two special variety packs of Greek olives from Hellenic Farms. 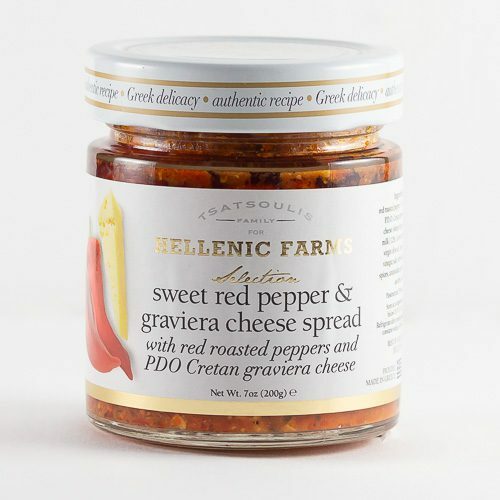 Sweet Red Pepper & Graviera Cheese Spread: A spread of sweet red roasted peppers and PDO Cretan graviera cheese made from sheep & goat’s milk, with capers, herbs and spices in Greek extra virgin olive oil. The Sweet Red Pepper & Graviera Cheese Spread is a delicious, very gourmet, quick and easy orektikó (appetizer). We enjoy it on Pita slices or crusty bread. Sometimes, I dig my spoon in the jar and enjoy it just like that. But, shh-shh, don’t tell Carlos! 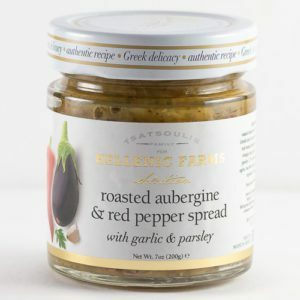 Roasted Aubergine & Red Pepper Spread: Prepared with robust garlic, parsley and Greek extra virgin olive oil, the Roasted Aubergine & Red Pepper Spread, simply put, screams summertime in Greece! If you don’t know, aubergine is another name for eggplant. 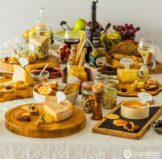 Enjoy this gourmet spread dolloped over crusty breads accompanied by a chilled, crispy white wine and fresh Feta cheese. We always keep a couple of jars in our pantry and never stress if a last-minute guest arrives! 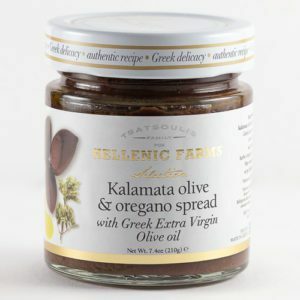 Kalamata Olive & Oregano Spread: Hellenic Farms put their own fresh approach to this classic black olive spread. 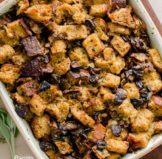 Prepared with Greek extra virgin olive oil, savory oregano, and the finest Kalamata olives, the Kalamata Olive & Oregano Spread is another versatile, must-have for your pantry, and your next wine and cheese party with friends or your significant other. Difficult to choose which one to try? Not a problem. We have all three as a specially priced Greek Appetizer Spreads variety pack. Enjoy! 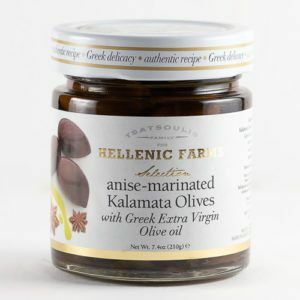 Besides our number of “regular” jars of different olive varieties from Greece, which you can find in our Snack & Sweets section, we just added these two extra special products from Hellenic Farms. 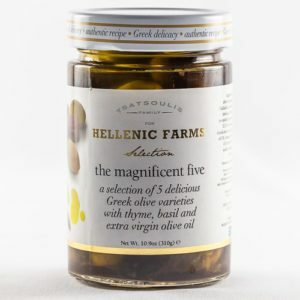 The Magnificent Five is a selection of 5 delicious Greek olive varieties, packed in Greek EVOO, basil and thyme. If you are an olive lover, like we are, you will be in heaven with a couple jars of The Magnificent Five in your pantry. They are packed full of Kalamata, Chalkidiki, Nafpliou, Amfissa and Thassos Greek olives. This is the best option for when you can’t decide what kind of olives to open, or specifically want to jump from taste to taste. 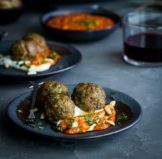 As the product name suggests, Anise-marinated Kalamata Olives are packed with flavor and give a new twist on the hugely popular Kalamata olive. Anise-marinated Kalamata Olives are ideal as an ouzo appetizer or with other anise flavored aperitifs. You will need a few extra jars on hand. Take my word. 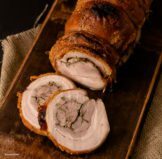 Next, Carlos and I will be introducing delicious gourmet items produced by Navarino Icons. 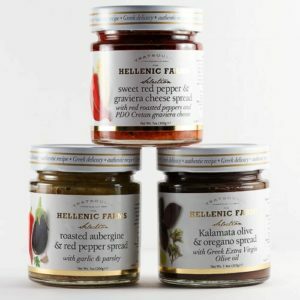 We hope you enjoyed hearing about our newest Hellenic Farms pantry items, and hope you add them to your pantry too.